1. VLC can't read DVD. Users cannot even open DVD, VIDEO_TS folder in VLC or DVD is ejected. The DVD users want to play is nowhere to be found. 2. It won't play DVD correctly. The video and audio are massively choppy. Or it displays yellow warning sign, with extreme stuttering. 3. It not playing the whole DVD, it just plays the first several seconds and then stops. VLC is unable to play encrypted Blu-ray DVD. 4. VLC fails to play DVD after macOS Sierra or Win 10 update, to name just a few common VLC not playing DVD situations here. We bring some solutions that are proved to work like a charm. Let's get started fixing "VLC doesn't play DVD" issues, following ways below. If you are using older version of VLC, and you are unable to play DVD in VLC media player, uninstall it on your computer and install new version. Outdated version may cause VLC won't play DVD error. The latest version available is 2.2.4. If VLC cannot read DVDs, write access to DVD device. For example, # chmod 666 /dev/dvd, where /dev/dvd is the device corresponding to DVD drive. It helps for some to fix VLC not playing DVD by setting preferences. Go to Tools > Preferences (or Ctrl+P), you'll see Show settings at the bottom left corner, select "All", head to Video > Filters > Deinterlace and click the drop-down menu bar next to Streaming deinterlace mode under Deinterlacing video filter and select Yadif mode, click "Save". Close VLC and restart it to see wheter the VLC Media Player won't play DVD problem is resolved. VLC can't play commercial (encrypted DVDs) without third party help. If your DVD is encrypted, and VLC can't read DVD, not to mention playing DVD, try to download and install Libdvdcss on your computer. Libdvdcss is a library only for freeware and designed to help access DVDs without having to worrying about the decryption. With the help of Libdvdcss, users don't need to set the region of your DVD drive or to remove region code from DVD. Many users reported problems with playing DVDs in VLC since upgrade to a new OS, for example, update to Windows 10 or macOS Sierra. To solve "VLC doesn't play DVD" on Windows 10, basically head to security and maintenance > Troubleshooting computer problems > Programs > Run programs previously made for Windows, click next and select the VLC program, click Try recommended settings, and hit Test the program. This way is recommended by Mitch 24, a member at VLC forum. It worked for VLC won't play DVD. For Mac users, refer to "how to solve DVD won't play on Mac", ways 3 to reset the System Management Controller (SMC) to get rid of VLC not playing DVD issue. 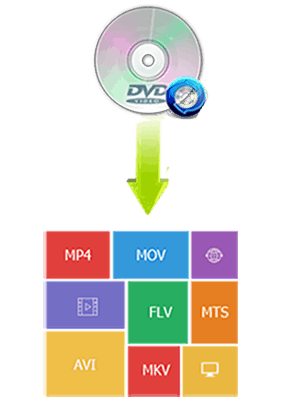 DVD ripper software gives an easy way to solve VLC won't play DVD by converting DVDs to VLC playable video formats MP4 AVI MKV etc, needless of installing Libdvdcss or other complicated steps. MacX DVD Ripper Pro, a top-rated DVD copy program, is recommended. It can copy homemade and encrypted commercial DVDs, including any types of DVDs (new movies on DVDs, workout/exercise DVDs, Japanese AV DVDs 99-title DVDs etc. 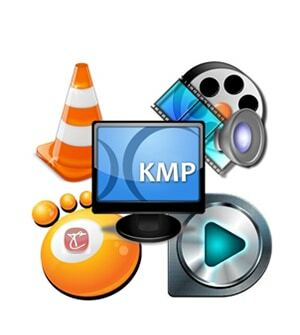 that cannot play in VLC media player) and even copy damaged DVDs to VLC supported video formats MP4 and many other formats with lossless quality and very fast speed thanks to High Quality Engine and HT tech. It can handle nearly any DVD encryption tech, for example, CSS, Region Code, Sony ARccOS, Disney X-project protection. Some users reported that when they played Blu ray discs in VLC, an error message said "Your input can't be opened: VLC is unable to open the MRL MRL 'dvd://D:\'. Check the log for details". First, check for update and upgrade to the new version of VLC. And to solve VLC not playing Blu-ray DVDs and play encrypted Blu-ray DVDs in VLC, you need keys database and AACS dynamic library. Go to VLC Libaacs to download KEYDB.cfg, and libaacs.dall for Windows or libaacs.dylib for Mac. But it doesn't work for all regions and encryptions applied to Blu-rays. Or you can shift to another Blu-ray DVD player to have a try. Superdrive not working on Macbook/iMac when inserting DVD disc? Find solutions here to solve DVD stuck in Macbook superdrive, Superdrive stops working problems. You can't play RedBox rental DVD on Mac/Windows? DVD drive won't recognize RedBox rental disc? No biggie! Here comes the solutions to help you out of Redbox DVD not working problems. MacX DVD Ripper Pro is the best VLC DVD Ripper which can freely copy encrypted DVD disc, ISO image, DVD folder in 1:1 quality to various formats (MP4, MOV, MKV, AVI, FLV, etc) and portable devices with original quality.